Vintage Mens knitwear can take you right back to the 40s and it doesn’t to have be Perry Como, but more Steve McQueen. 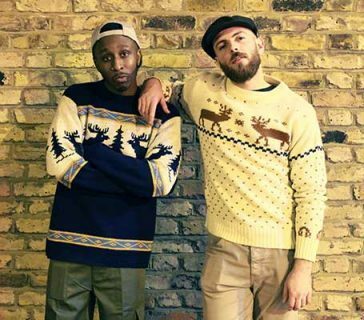 We have an amazing assortment of Mens vintage sweaters, including mens cable knits and 80s casual classic knitwear through to shawl collared cardigans and fishermen’s sweaters. Take a look our knitwear and see what style suits you.Knitwear is nowhere near as old fashioned as you think. One good quality sweater or cardigan can add real class to an outfit, whether it’s jeans and boat shoes, or pants and a pair of lace up brogues. Don’t be left behind, men are increasingly being turned on by a classy sweater, and any pin up from the past 50 years has always been pictured with a knitted sweater. Steve McQueen was a typical example, he dressed to kill every time, and often he was pictured wearing a simple crew neck sweater under a wind breaker, or a shawl collared cardigan with jeans, it gave him an edge, a certain masculinity mixed with a vulnerability that women loved. We have a great selection of vintage Mens knitwear and you won’t be disappointed, even though we say so ourselves, our knitted section is pretty amazing, our buffalo sweaters with shawl collars are certainly eye catching, in a variety of different patterns and colours, and will keep you warm as well as make you look incredibly stylish. Our selection of Icelandic sweaters with crew neck are practical, as well as having a masculine elegance to them and our cardigans are varied and different. Take a look around our great selection of men’s sweaters – because you’re guaranteed to be impressed with our range and quality. If you’re unsure about anything, drop us an email, or call us, or drop by if you’re local. Our contact details are naturally over on our contact page.